As a blogger and writer, I love to use tools which will help me to increase my productivity and especially when it comes to writing; I need something which is as good as MS Word. 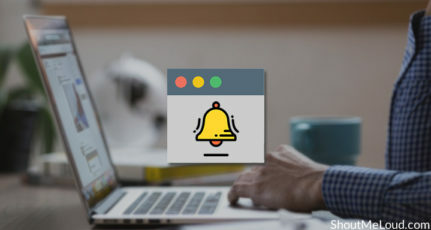 I have been using a blog writing tool call Open Live Writer, which is an open source application and support most of the Blogging platforms including WordPress and BlogSpot. 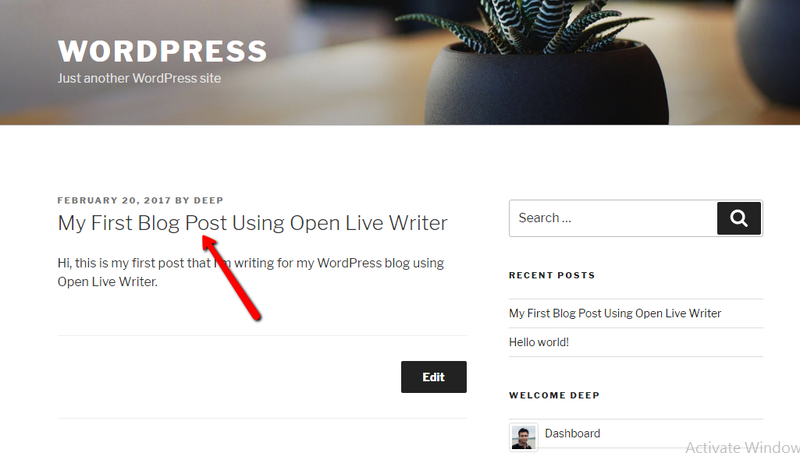 In this post, I will be talking about how you can configure Open Live Writer with a WordPress blog. 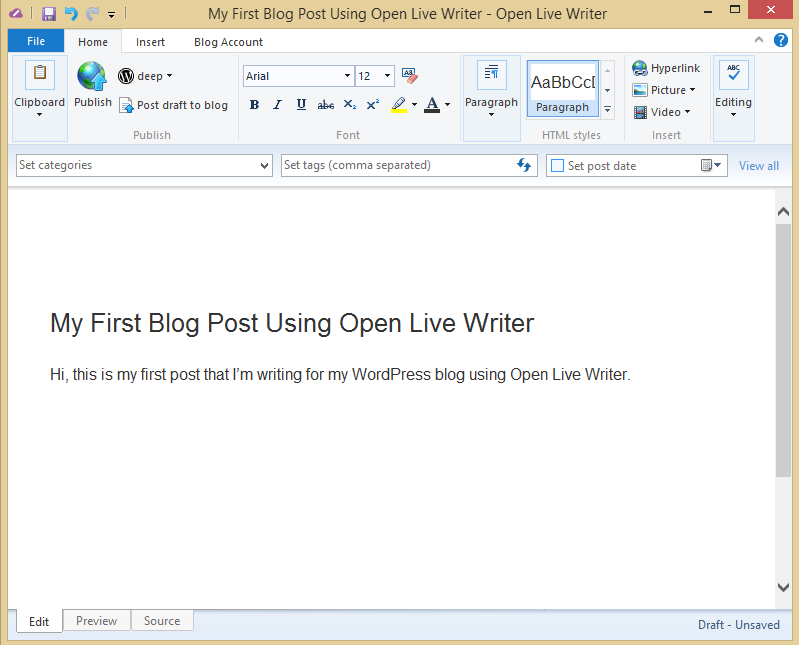 Before that, you should read Open live Writer: Bloggers tool for Blogging to know more about this free software. If you have not yet downloaded Windows live writer, you can get it right now for free from here. 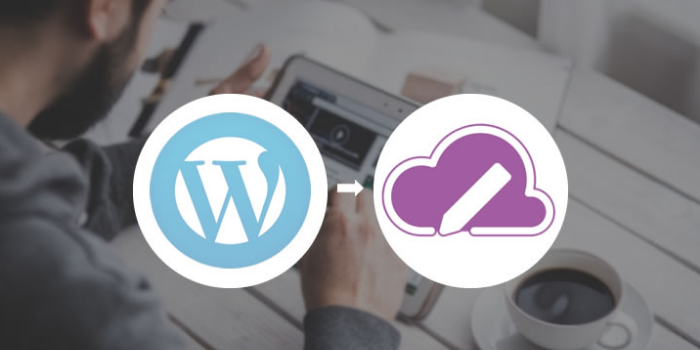 The open Live writer uses XML-RPC to communicate with your WordPress blog and it’s on by default for every WordPress blog. 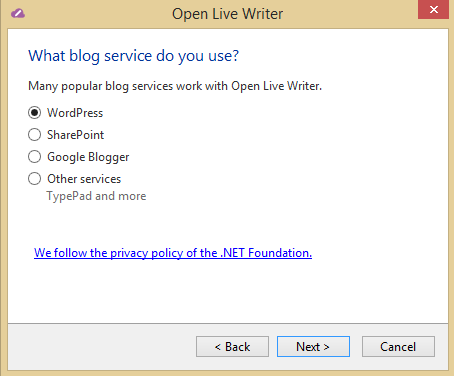 Now install Windows live writer and open it. 2. 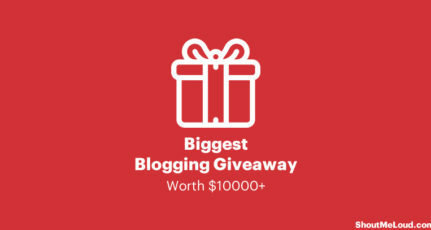 Select Other blog services that are the last option. Enter your Blog URL in the first field and enter your username and password. Do click on Remember password option; else it will prompt you for the password at every stage. 3. 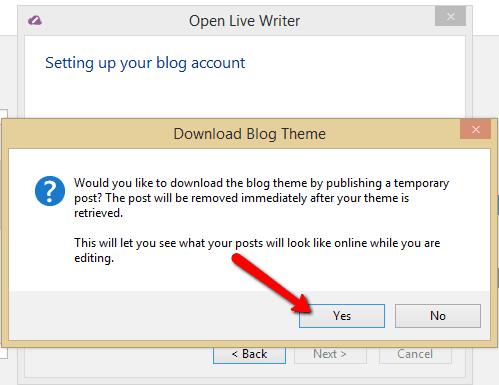 After a while, it will ask you for the option to make a temporary post to detect the blog theme. Click on yes. This way whatever formatting you will do, that will be exact the same replica of your blog theme. That post will be removed automatically after the test post. 4. Final Setup. Enter blog nickname. 6. Once you are done, hit the Publish button. If you like the tutorial and find it worth sharing with others. Don’t forget to tweet and give stumble love. 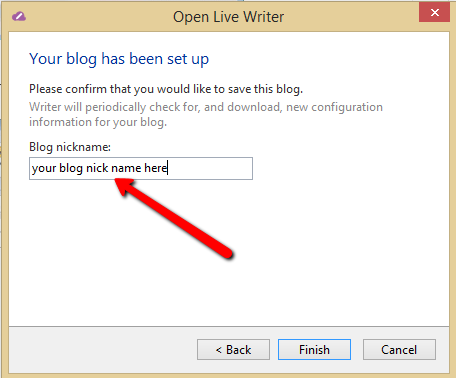 Do let us know if you are using Windows live writer or any other software to write blog posts? I faced the same problem at the starting,first step is the most important and most unknown among new users. I haven’t tried that yet Seem to be a long process may be I will never use this again. Is there in user in here of this tool..
It’s actually step process and it’s not long . 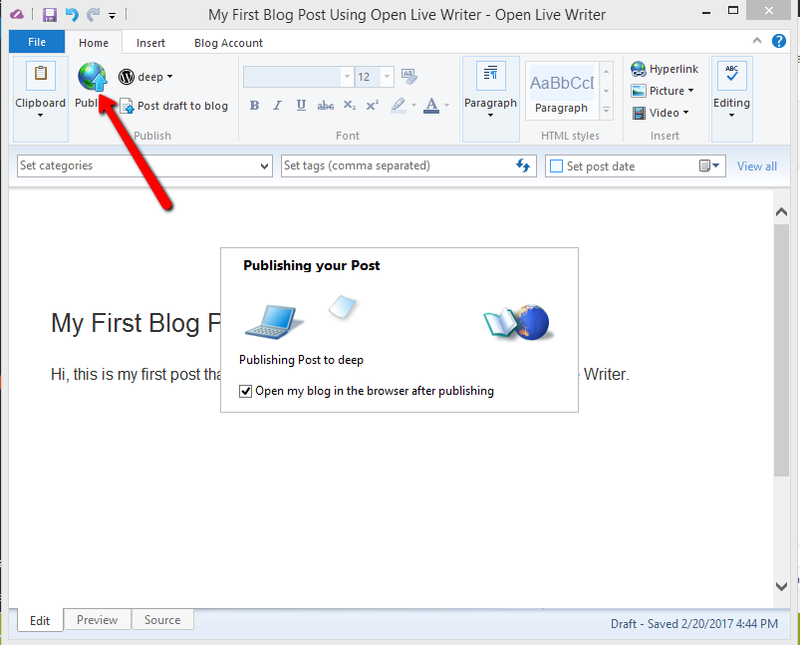 Most of the user and blogger use windows live writer to write and it is coming out to be very productive for them. I will suggest give this tool a try and I’m sure you will love it. This is a must have tools for bloggers. Makes life much much easier. BTW are there any other such tools out of the MS domain which you would recommend. 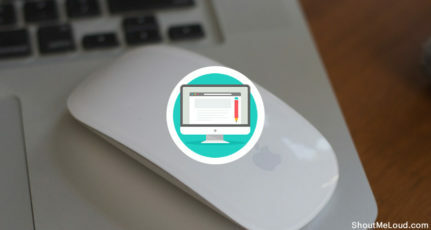 nice illustrations its great to publish posts without leaving desktop. We can to give a try to scribe mozilla extension for blog posting. Thanks for this tutorial. 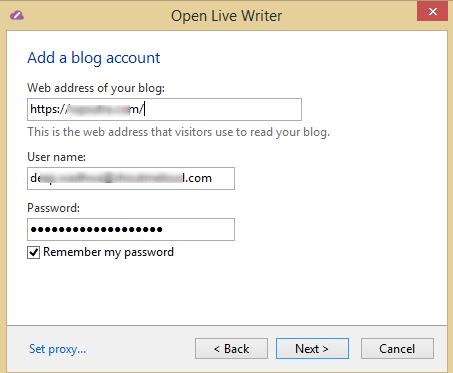 I heard about windows live writer from quite sometime but never tried it. Let me try this over the weekend. 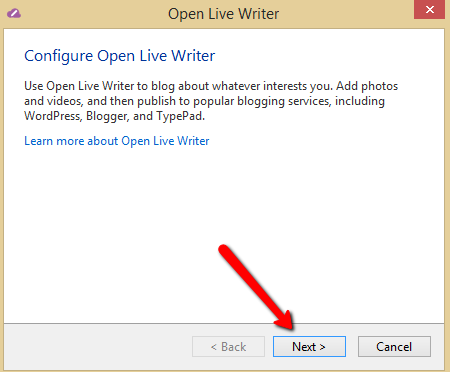 I was unaware of the first step….. so I was not able to use windows live writer. You have shown me the right way. thanks buddy. this greet information am searching every were for this and i found yours blog thanks again. Love Live Writer and I’m so happy that I’ll be able to use it on my new self-hosted WP blog too! I’ve used it in Blogger for some time now & love it! Recently I upgraded to WordPress 3.5.1 and to my surprise I see ‘Remote Publishing’ option is disabled. Now I see an error on WLW about XML-RPC and I cannot use it. Do you know any plugins that enables the XML-RPC in WordPress. In WordPress 3.5+ Remote publishing feature is enabled by default. Try again, with Windows live writer and let me know if it worked or not. I recreated the accounts in WLW, it works now. Its useless, it scales down images to thumbnails of unproportionate size and is uploading two copies of image – one on skydrive and another on wordpress itself. It would be troublesome to edit height and width of each image posted afterwards. Though i have left this trouble to be solved on windows forum but i dont think this thing can ever get solved because everyone uses different themes most of which get edited according to the users taste. So windows live writer wont be helpful to write blogpost faster anywhere in near future. Is it possible to access WP Plugins (For example WP Yoast plugin) inside Windows Live Writer? NOt at this moment…There used to be a bridge for All in one SEO and Windows live writer, but at this moment there is no such add-on for the Yoast SEO plugin. Harsh, how can I remove Live Writer? I installed it, hooked it up to my blog, and HATE IT. It is doing weird things to my posts, such as screwing up the formatting of published posts (which I see when I go to edit and update them), and it’s also making my drafts look funny. So now I want to UNDO the action of hooking it up to my blog. Please help! Just uninstall the Windows live writer using Add/remove program feature of Windows. I am getting /xmlrpc.php error every time. Yes, Very annoying ..Both for the free wp.com and wp.org sites. cant seem to get this to auto configure with my WordPress blog which is hosted via podserver.info . entered the URL, password and username etc however the prompt tells me to select blog provider and it cant automatically detect blog getting? Sounds like podserver issue. Try contacting them & tell them you are trying to connect using XML-RPC. Or check if you are using any security plugin that might be blocking access to XML-RPC. I tried to use Live writer and Open writer with wordpress.com blog but cannot connect. I do have a unique url for my backend login. Is this preventing me from connecting? Probably that could be the reason. If you using unique URL using a plugin, disable the plugin for a while & try connecting.